Let’s be honest. The AIP is hard to do, and some people have a harder time than others. Today, I’ve invited 3 health & nutrition coaches onto the show, to share techniques that help their clients maintain a healthy lifestyle against all temptations and obstacles. All three of these ladies have personal experience following the autoimmune protocol for their own health as well. Let's help each other succeed! Some great new AIP menu items: Juicy Lucy Burger, Coq au Vin, and Carob and Vanilla Birthday Cake. Michelle Hoover has Hashimoto’s disease. She is a nutritional therapy practitioner and the voice behind the blog and podcast Unbound Wellness. Her rock bottom was during college, when her fatigue was so high she slept up to 18 hours a day and only woke up to go to class. She also experienced severe digestive problems; everything she ate caused bloating and pain. Now, her life is dramatically different. She has the energy to work full-time, exercise, and enjoy her life. She's also been able to heal her digestion so that she can enjoy food again. 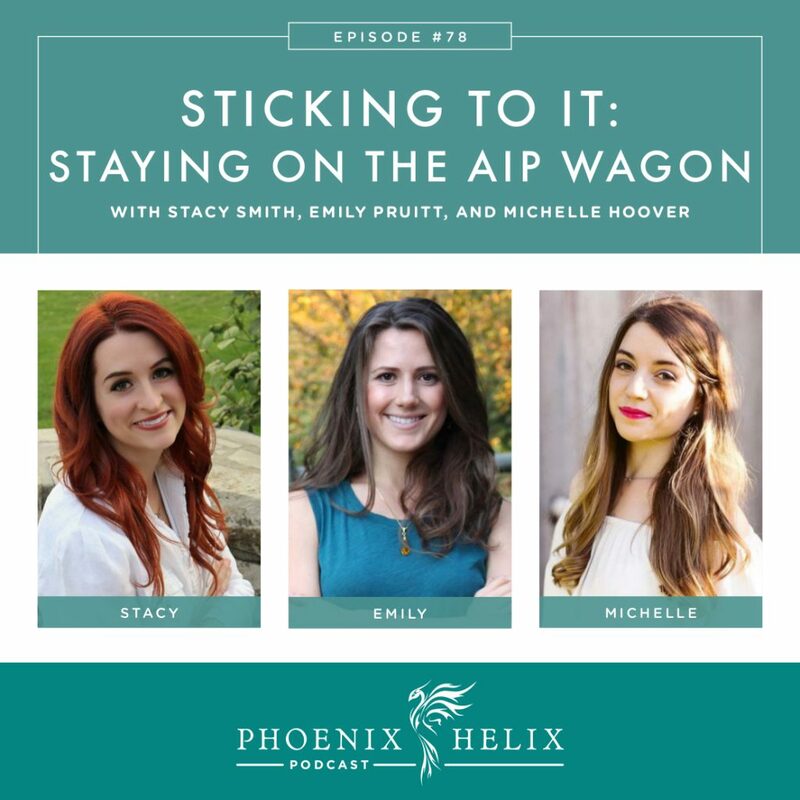 The diet & lifestyle pieces that made the biggest difference for her were the AIP, troubleshooting gut health, and learning to love her autoimmune journey rather than feeling victimized by it. Stacy Smith has lupus and antiphospholipid syndrome. She is a nutritional therapy consultant and the voice behind Viridis Wellness (website coming soon). At her worst, she was bedridden with extreme pain, fatigue, and depression. A year of autoimmune medication trials left her feeling worse instead of better. She finalized realized she was the only one who could help herself, and research led her to the AIP. Progress was slow, but after a few months, she regained her ability to walk without pain, and empowerment replaced her feelings of despair. Emily Pruitt is a health and wellness mentor and the voice behind the blog SoleFire Wellness. She had a wide variety of symptoms throughout her childhood and early adulthood, but in spite of seeing numerous doctors, never received a diagnosis. As a child, doctors told her she was “just sensitive.” Her rock bottom happened at age 19 when her symptoms hit a crisis point. She suffered rapid weight loss, experienced severe pain, lost her ability to walk, developed cystic acne and eczema, stopped menstruating, and was unable to tolerate any foods. She ended up in the hospital on food formula and an IV drip. When doctors were unable to provide any explanations, she started researching alternatives, and through self-experimentation ended up on a diet very similar to the AIP. This was 12 years ago, before the online paleo community existed. Slowly, her symptoms diminished, and her health improved. Now, she feels great. She has lots of energy and teaches dance and holistic fitness. Her weight is stable, her skin has cleared, her hormones have balanced, and her food tolerance has improved dramatically. In addition to the AIP, sleep, stress management, supportive relationships, and self-compassion made the biggest difference in her healing. Prepare your home. Remove the foods you can no longer eat and stock the foods you can. (Resources: AIP Grocery List and AIP Kitchen Tour Video). Talk with other members of your household on how you can safely share a kitchen if they aren't following the AIP themselves. (Resources: My Husband Isn't Paleo and Avoiding Gluten-Cross-Contamination). How to begin when your autoimmune symptoms are disabling. Spend sometime thinking about your motivation and reason for embarking on the AIP. What is your health goal? Write that down and put it someplace you will see it every day: on your fridge, on your bathroom mirror, a note on your smartphone, etc. If you meditate, incorporate that into your meditation practice. Start a gratitude journal, to help shift your mindset from victimhood to empowerment. List the following resources in order from those of which you have the most, to the least: Time, Money, Support, and Energy. Tap the resources you have first, and then see where you can ask for help in other areas. When we embark on the AIP, it also affects the people around us. How do we navigate our relationships and find the support we need? Start with compassion, understanding that this is a scary time for those you love as well. It's hard for them to see you suffer, and the big change you are embarking on can be intimidating and sometimes even threatening to those around you. Educate people on why you're doing it. A Simple Guide to the Paleo Autoimmune Protocol is a great book to give as a gift. For audio learners, let them know about this podcast (Episodes 1-3 especially). For visual learners, here's an overview of the AIP on Youtube. Lead by example. Often once people see the positive impact this diet and lifestyle has on your health, their support increases exponentially. For spouses, ask them, “What can I do to make this easier on you?” That might prompt them to ask the same question of you, and you can make some agreements that support both of you. If you're working with a health coach, you can do a couples coaching session to answer questions and help you plan and negotiate an AIP-friendly household. And marriage counseling is a good choice for large issues beyond simple troubleshooting. If people still refuse to be supportive, distance yourself from them in food situations, wherever possible. Remember that you don't need other people to validate your choice or your experience. And be sure to find support elsewhere. How Do I Get Support From Family and Friends? 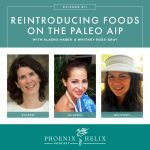 Eating AIP in a Non-Paleo Home. Everyone's busy, whether you're a student, a parent, a caregiver, working full-time, or all of these combined. Autoimmune healing can feel like a full-time job in itself. How do we prioritize and make the most efficient use of the time we have? Become efficient in the kitchen with meal planning, batch cooking, and meal simplification. 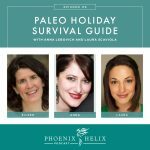 (Resources: Eileen's Meal Planning Tips, Michelle's Meal Planning Tips, Saving Time in the Kitchen Podcast, and 30 Minute Meals for the Paleo AIP. 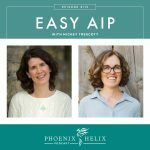 How to do the AIP on a budget. Step 1: Set a budget. Figure out where you are currently spending your money and where you can reallocate more money for real food. (Resources: Budgeting for Beginners and Goodbudget App. Step 2: Comparison shop. Research your local grocery stores to find out which ones offer the best prices on which foods. You may need to shop a variety of stores for the best deals. Step 3: Prioritize where to spend your organic produce dollars with the help of EWG's Clean 15 and Dirty Dozen. For meat, prioritize organic on bones and organ meats. Step 5: Gardening is the freshest, most nutrient-dense produce at the lowest price. (Resource: Grow a Garden Anywhere). Step 6: If you have freezer space, buy your meat in bulk for a greater discount, and shop frozen vegetables when they are on sale. 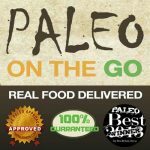 Resource article: 12 Tips for Eating Paleo AIP on a Budget. The stress of perfectionism can cause autoimmune flares, just as much as poor food choices. The root of perfectionism is usually fear and control. Food is meant to be pleasurable as well as nutritious. Fear isn't a nourishing mindset, so exploring those emotions from a mindbody perspective can help. (Resource: The Psychology of Eating Podcast). Other Resources: Lean Into Uncertainty and The Gifts of Imperfection. Michelle: Though there may be bad days, there is no such thing as absolute failure. One misstep doesn't erase all you achieved prior, and the misstep itself contains important lessons that can motivate you to make better choices going forward. We are imperfect people in an imperfect world, and we're all just learning how to be better every day. Stacy: Admit that you screwed up, but know that doesn't make you a bad person or a failure in life. Own your mistakes, learn from them, forgive yourself, and then move on. People shouldn't fear failure. We all fall down sometimes. The only way we can truly fail is if we don't get back up again. Emily: Since we are human, this does happen. Don't be surprised. Respond to yourself with gentleness and compassion, rather than judgment. Then ask yourself two questions: (1) Why are you following the AIP in the first place? Then, find something that supports that “why”. (2) Why did you slip up? Then, figure out how you can avoid this situation in the future. Get health coaching help if needed. Resource: The Other F Word Podcast. Michelle Hoover is a nutritional therapy practitioner and the voice behind the blog and podcast Unbound Wellness. She also has a Facebook Group called Gut Healing Support w/ Unbound Wellness. And she wrote an ebook called The 30 Day Gut Healing Diet Plan & Guide. Stacy Smith is a nutritional therapy consultant and the voice behind Viridis Wellness (website coming soon). She is also one of the health coaches for the online group class called SAD to AIP in SIX. And she facilitates a Facebook Group called The Autoimmune Athlete. Emily Pruitt is a health and wellness mentor and the voice behind SoleFire Wellness. She offers wellness mentoring, cooking workshops, and holistic fitness classes.